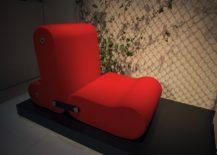 Working with a myriad of international designers, Italian brands have produced a number of singular seat designs. Here are ten remarkable examples. 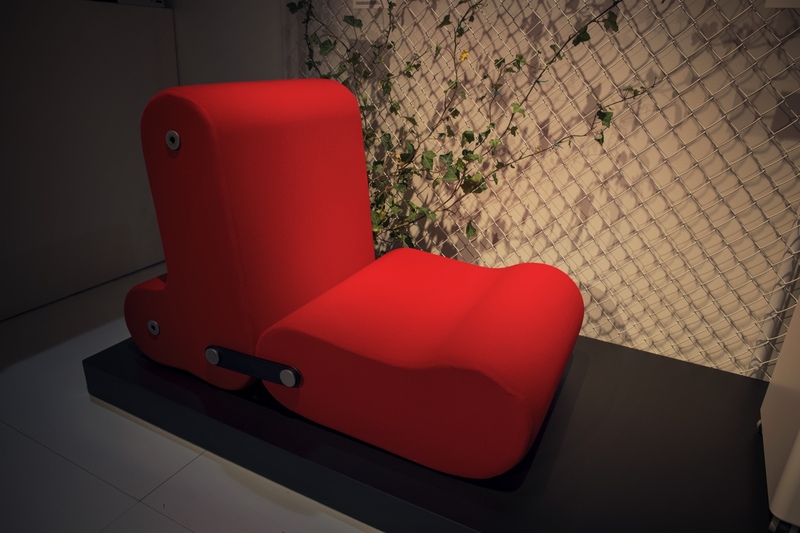 Adrenalina Trafic high-back fabric wing chair by Giovanni Tommaso Garattoni. 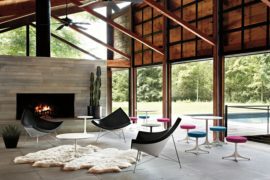 The ‘Trafic’ high-back fabric wing chair was designed by Giovanni Tommaso Garattoni for Italian manufacturer Adrenalina. 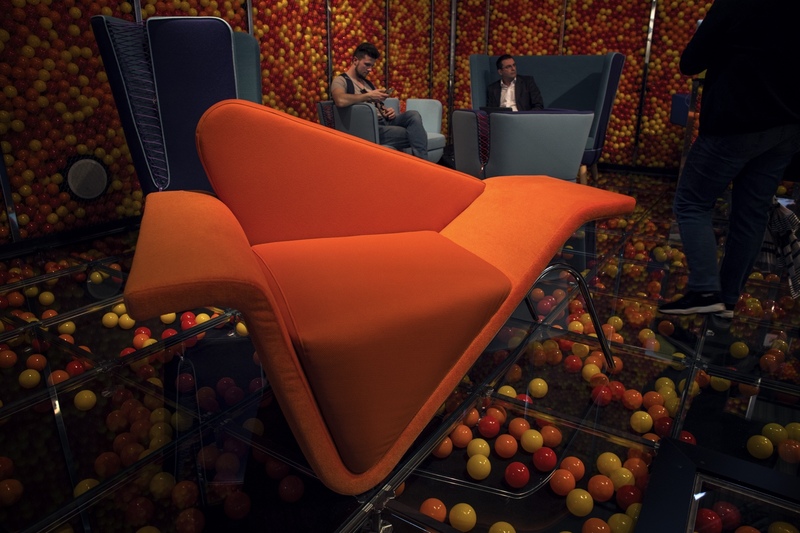 Established in 1999, Adrenalina offers a rather audacious and eccentric collection of sofas and chairs: designs are eye-catching, spirited and idiosyncratic. 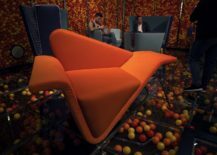 The Trafic wing chair is part of a collection suited to places defined by the frantic and frenzied movement of people. From airports to stations, Trafic offers the individual a moment to sit and relax in what are typically transient, anonymous spaces. Adrenalina V2 by Giovanni Tommaso Garattoni. 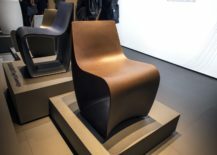 Also designed by Giovanni Tommaso Garattoni for Adrenalina, ‘V2’ has an asymmetrical bent that gives this unconventional seat both gravitas and glamour. B-Line Multichair by Joe Colombo. Producing furniture since 1999, B-Line is an Italian manufacturer with one eye on Italian design heritage (reintroducing pieces by Joe Colombo and Rodolfo Bonetto), and one eye on the future of Italian design (working with an international roster of designers). 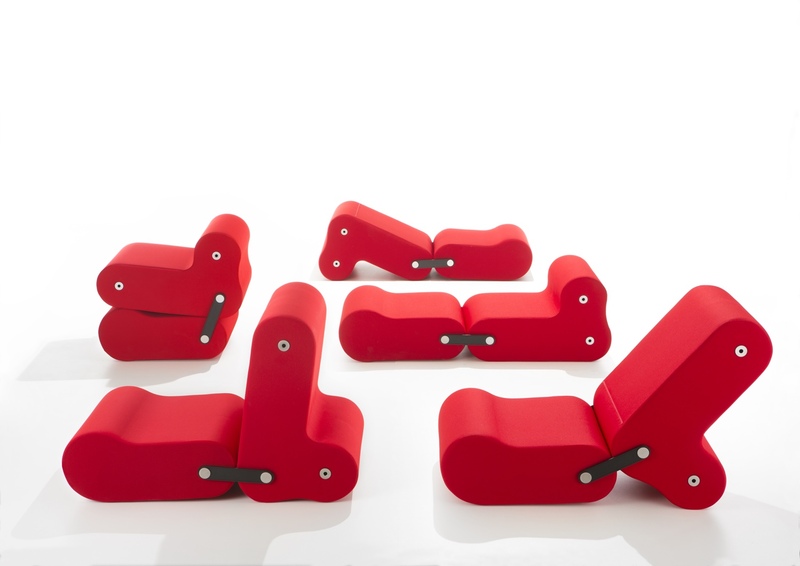 Joe Colombo’s ‘Multichair’ is an Italian design classic: a system of two cushions, the Multichair acts as a chair, armchair, recliner or lounger. Multichair variations. Photo © B-LINE S.r.l. Campeggi Extension de générosité by Matali Crasset. 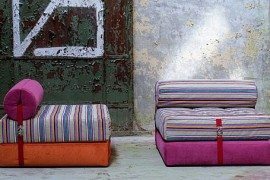 Italian manufacturer Campeggi boasts a colourful and creative portfolio of design gems. 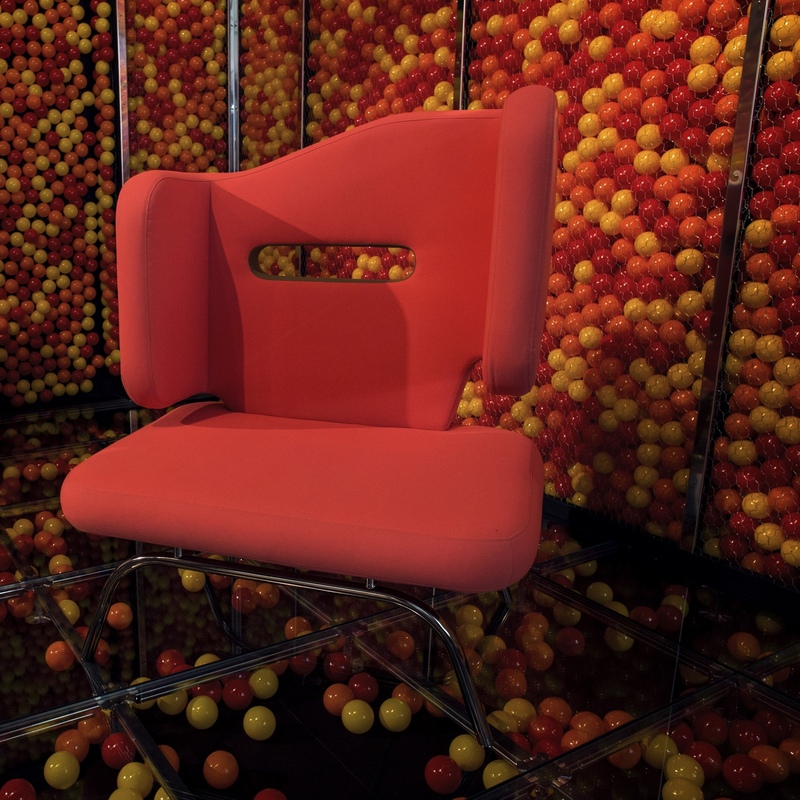 The Campeggi brand name is an acronym for the company’s design remit: ‘Comfort, Agility, Movement, Practicalness, Economy, Gracefulness, Game and always Inexhaustible.’ The winsome ‘Extension de générosité’ chair was designed by French designer Matali Crasset, whose work fascinates, challenges and engages the observer. 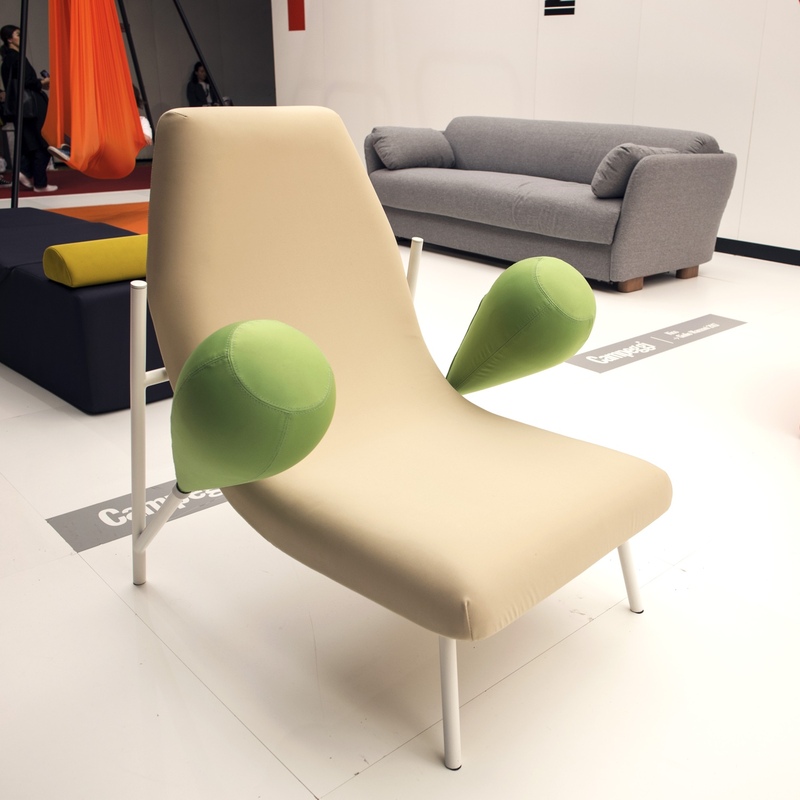 The chair’s balloon-like arms are interchangeable and can be placed at its headrest. Campeggi Ikoi by Sakura Adachi. 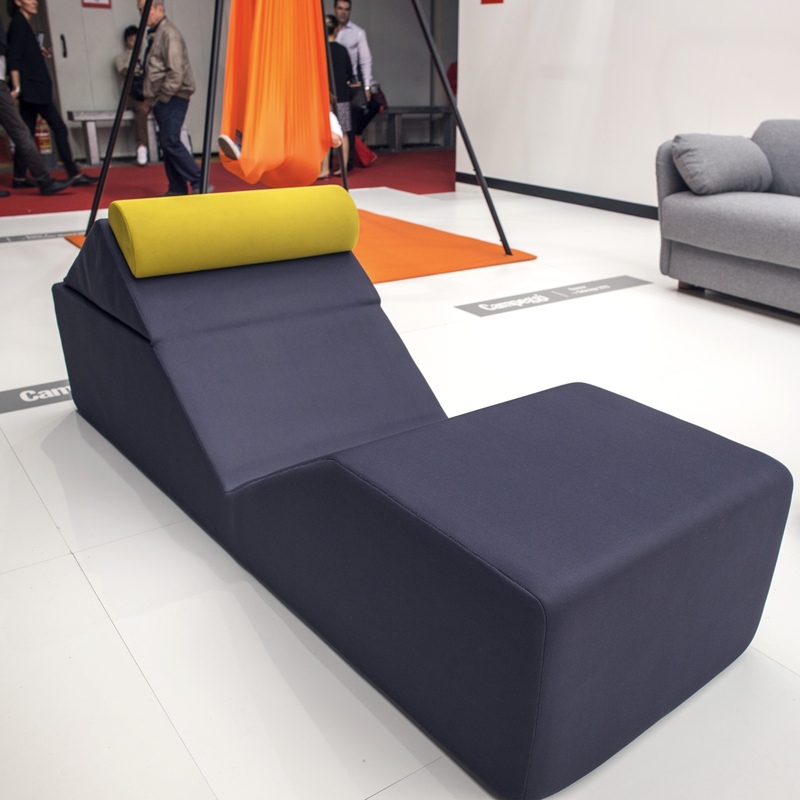 Japanese designer Sakura Adachi created the ‘Ikoi’ (meaning ‘rest’) chaise longue for Campeggi. 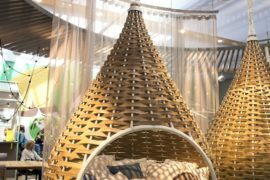 By rotating the Ikoi’s triangular centre part 180°, it is transformed into a bed. 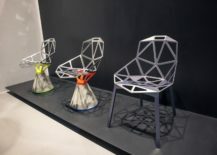 Casamania Her chair by Fabio Novembre. 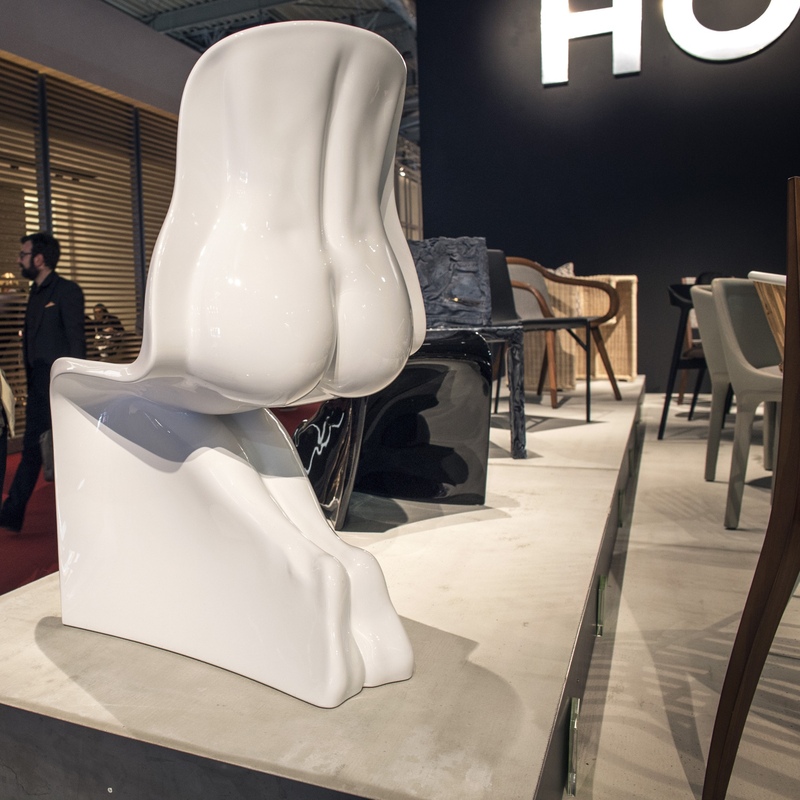 A part of the Horm Group, Casamania (founded in 1984) presents a modern and novel collection of furniture items. 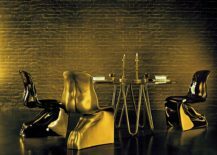 The somewhat mischievous and anthropomorphic ‘Him & Her’ chairs were designed by Fabio Novembre, and are inspired by the classic Panton Chair shape. 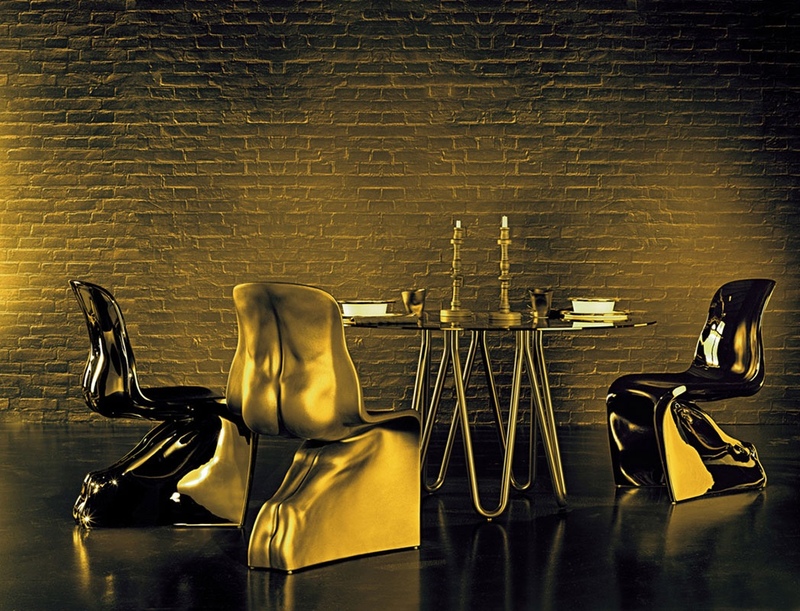 Him chair by Fabio Novembre. Photo courtesy of Norm Group. Casamania Rememberme by Tobias Juretzek. 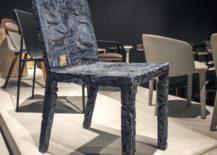 Designed by Tobias Juretzek for Casamania, ‘Rememberme’ is a chair that places sustainability at its core. 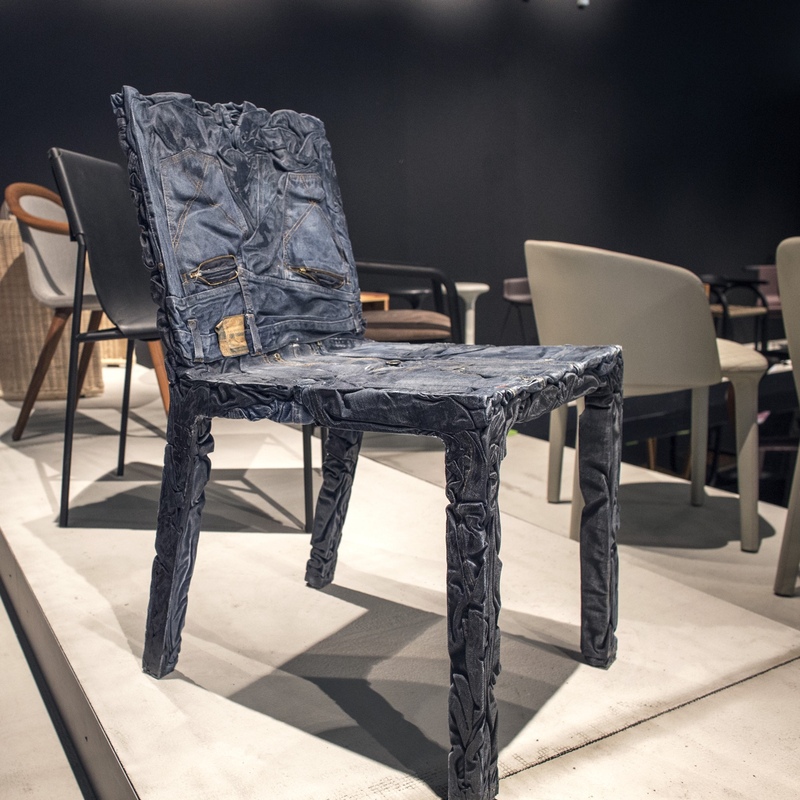 The chair breathes new life into discarded jeans and T-shirts, mixed with a special resin. Rememberme opens the door to a world of recycling opportunities. Colico Pedalò by Fausto Di Martino. 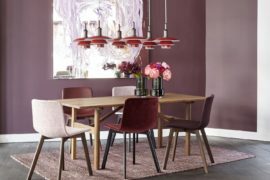 Founded in 1920 as a producer of tables and chairs, Italian company Colico has grown to embrace a wide range of designs. 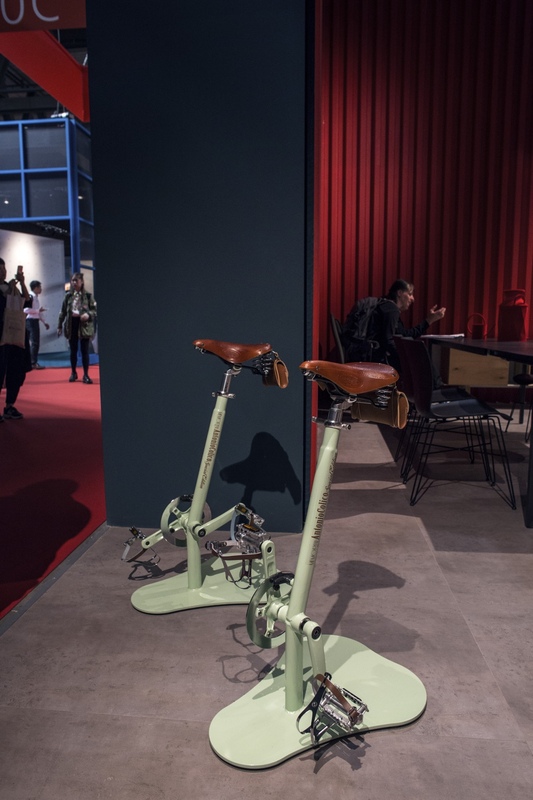 The ‘Pedalò’ high stool was designed by Fausto Di Martino. 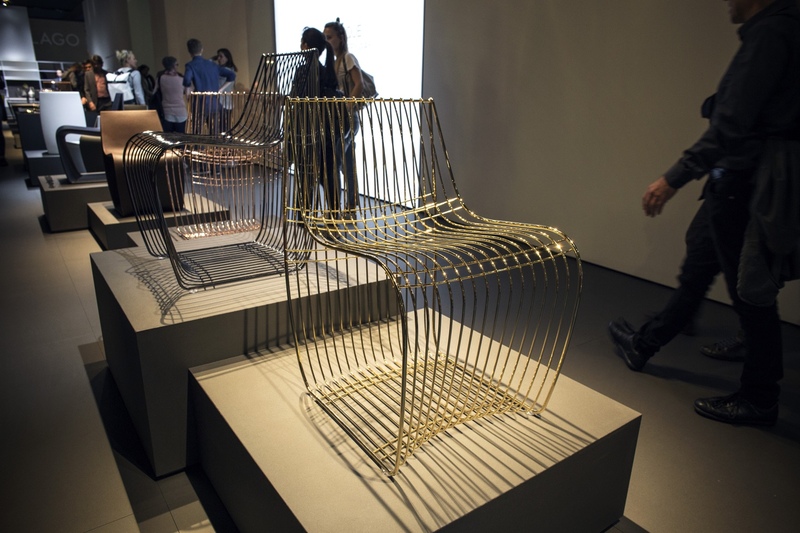 A superlative and pleasing piece, it incorporates a bicycle seat made by Brooks. 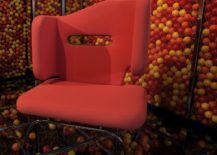 Magis Chair_One by Konstantin Grcic. Italian brand Magis was founded by Eugenio Perazza in 1976. Over forty years later, the company’s reputation is one of international renown. 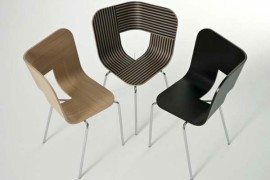 Magis’s products are 100% ‘Made in Italy’ and it works with many design heavyweights, including: Jasper Morrison, Ronan & Erwan Bouroullec, Ron Arad, Marcel Wanders and Philippe Starck, to name a few. 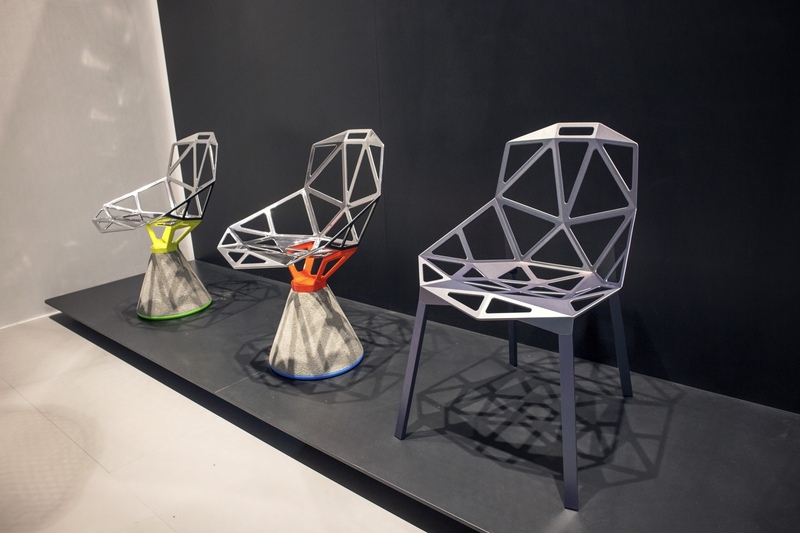 The three-dimensional ‘Chair_One’ was designed by Konstantin Grcic and is available with a series of bases. 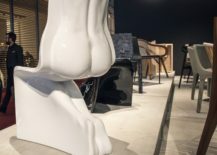 MDF Italia Sign Filo by Piergiorgio Cazzaniga. 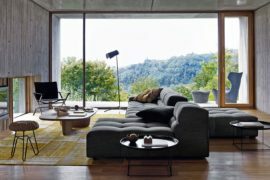 Milan-based MDF Italia was set up with an entrepreneurial flair for design that is simple and competitive, responding to the needs of modern-day living and cultural diversity. 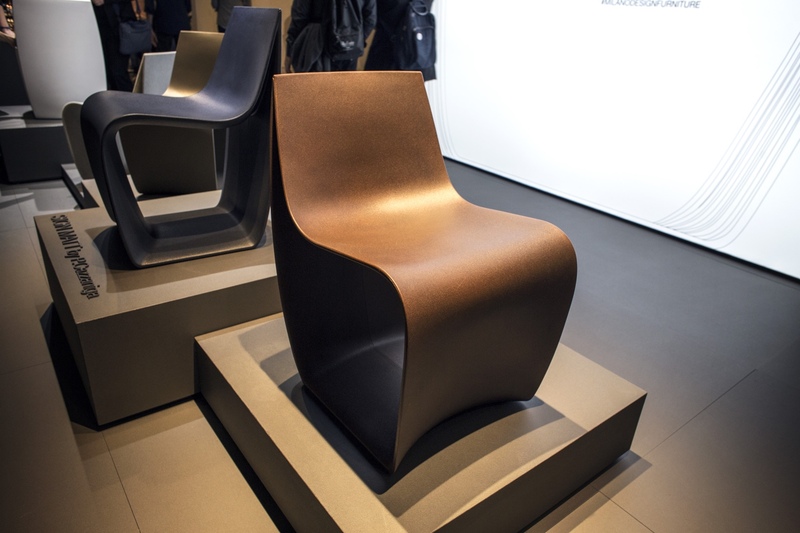 MDF Italia’s ‘Sign’ chair was designed by Piergiorgio Cazzaniga. The ‘Sign Filo’ is handcrafted using forty-five metres of steel wire, with four widths, and presents a striking silhouette. The ‘Sign Matt’ is a single material piece with a matt finish. MDF Italia Sign Matt by Piergiorgio Cazzaniga. 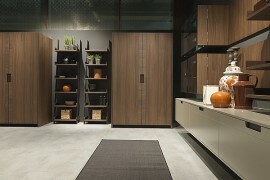 All photos © Decoist (unless otherwise stated). 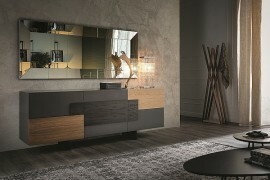 Fabulous And Functional Modern Sideboards With A Touch Of Italian Flair!